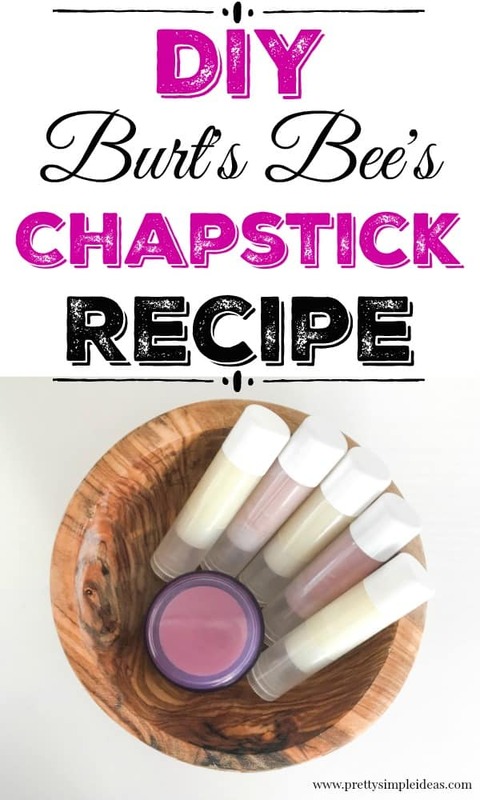 My friend Hannah has been wanting to make DIY Burt’s Bees Chapstick for over a year and we finally DID IT. They only take a few minutes to make and are so creamy your lips will be very happy. You can also add shimmer to add some extra bling to your day. 1.) 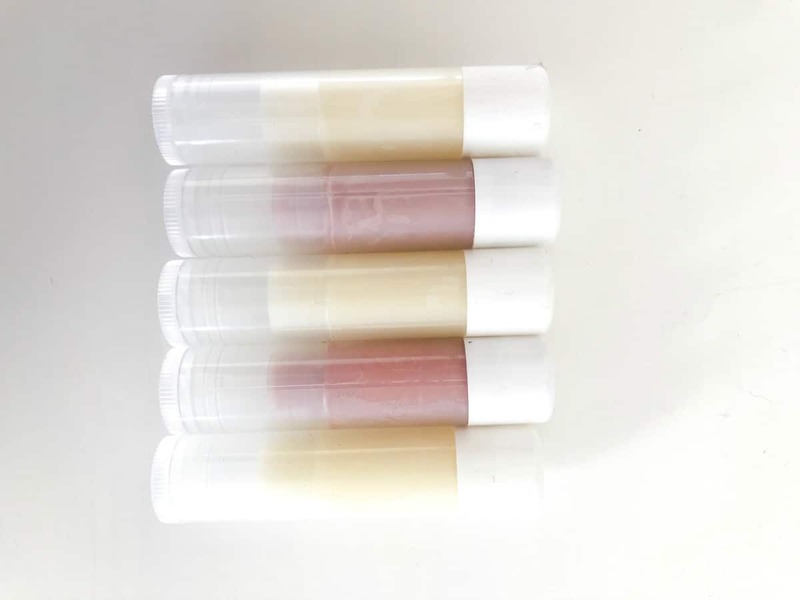 Store bought ones often contain chemicals that actually DRY OUT our lips, forcing us to continually apply more. 2. 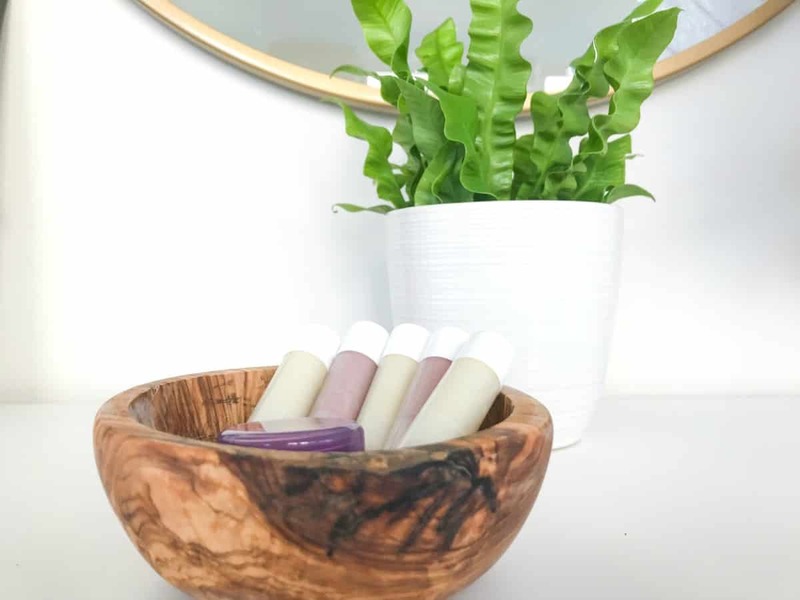 )According to Wellness Mama, after Burt’s Bees was bought out by Clorox, they started adding canola and soybean oils to their chapsticks. These oils cannot be extracted naturally, thus, are chemically made. Thanks, but I’m over chemical-laden products. 3.) They make the cutest little DIY gifts. Cost-wise they will save you some cash. And now, let’s get to the recipe. A double boiler or just something you can melt the materials in over a pot like a glass bowl, and a spatula you don’t plan on using for cooking again. If you want some shimmer and a little color, you can try adding some of this natural mica powder. If you’re looking for another DIY gift, try making these DIY lotion bars using the same ingredients. 1.) Melt the beeswax, shea butter, and coconut oil in a bowl over boiling water. 2.) Turn off the heat, but keep the mixture over the pot or else it will start to harden fast! 3.) Add the essential oils. 4.) Use a pipette or a dropper to fill your containers. 5.) Let them harden for a few minutes and go back and “top” off. 6.) Let the chapsticks sit for a few hours before moving or putting on the caps. This makes around 12 chapsticks depending on the size of the container. I just used my DIY lotion bars you gave me as my hands were bleeding from this ridiculously cold weather! This might actually be fun to make with Emma. We got her a DIY chapstick kit online but I highly doubt it’s chemical-free. She would love to make and it’s super easy. They are probably more creamier too. I need to make some new lotion bars. You can make them any color too! Good luck! DIY Gifts are the best. Hey Sarah! I’m gathering my ingredients and wanted to ask you how you got the different colours. Did you use the natural mica powder you were referring to? If yes, how much did you use? Thanks! Yes! The purple is from the mica powder. I’d start out with a tablespoon and then see how “colorful” you want it. What!!!! Now I wanna make some. I love chap-stick. My lips are always dry. I gotta try making this. So easy to make a ton, too! I just made lip balm at a party and it was so easy. I didn’t get the recipe so I’m glad you shared one now! Ooh what a fun party idea. I love DIYing things like this. I find they are much better for us without all the chemicals. As I get older, I care so much more about that. I tried to make some deodorant myself, an dit was ok. I need to perfect my recipes. I really want to try this chapstick though. My lips stay dry from store bought chapstick. Yah, I can see how DIY Deodorant might be tricky. These turn out awesome though and agreed, the store bought ones cause more dryness! I love this! I make my soaps at home and they are so much better than the storebought soaps so I want to try this out as well!! Thank you for sharing this! So welcome. I hope you love them! I want to try making soap next. Great gift or favor idea! Love that you can choose any essential oil to make custom fragrances. I love these DYI’s, and so does my daugther. This would be such a fun project to make with her, and then she can gift them to her friends for Christmas! so cute!!! What a cool idea! And they look so pretty! What a great gift idea, or practical idea for myself (especially for a chapstick addict like me). Thank you for sharing. I plan to give this a try. I love these! I have made them in the past and plan to do so as gifts this year as well! I’ve never heard of the mica powder so I will definitely check that out. Thanks!